"The commission has found no evidence that either Lee Harvey Oswald or Jack Ruby was part of any conspiracy, domestic or foreign, to assassinate President Kennedy." knew it full well in 1964; the Agency knew it full well in 1976-79.
a group that Oswald had direct dealings with! What contemporaneous reporting is or was in the Agency's DRE files? finding documents; he thought he would be of help to us. Agency and DRE during the period Oswald was in contact with DRE. they were in their positions. We wanted to test the Agency's integrity. could well be that it materially understates the matter. lies to you on one point, you may reject all of his testimony. of the government co-operated with it is, in retrospect, not the truth. to obtain any information that might adversely affect the Agency. prevarication and dissimulation and that you cannot trust it or its people. I am now in that camp. heavily withheld by being “blacked-out” and redacted. 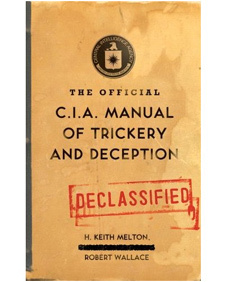 “They [the C.I.A., my insertion] hated it ---- that section, totally. They just hated that section." .... Their investigations details led LOPEZ to determine that OSWALD had. . . .
video interview given by Ms. SYLVIA ODIO detailing the incident of her pre-assassination encounter with LEE HARVEY OSWALD (whom the Warren Commission tried to paint as pro-CASTRO), accompanied with his two very violently militant, anti-CASTRO cohorts, at the exact same time when the Warren Commission "lone-nut"-apologists theorize a bus was taking him to Mexico City. This conspiring together of the U.S. government with the Mafia had been ongoing and steady from as early as, at least, World War II (possibly and probably longer), when President FRANKLIN ROOSEVELT’s government had worked together with the Mafia (in ROOSEVELT’s OPERATION UNDERWORLD “deal” with the Mafia’s main accountant MEYER LANSKY) ----while HOOVER was the F.B.I. Director---- to use Mafia and their union workers to protect the U.S. governments vital military warehouses, docks, and vital wartime allies-needed military equipment and supplies against the wartime acts and terrorisms of Nazi spies and other enemy terrorists. Among many intersecting motives leading to 11-22-63: after CASTRO had confiscated Mafia million$ and also kicked the Mafia out of Cuba (causing the Mafia to lose future million$ or billion$ from its gambling, drugs, prostitution, etc, that had been flowing ----and, allowed to flow for many, many decades). Subsequently, President KENNEDY and U.S. Attorney General ROBERT F. KENNEDY had also dramatically increased prosecutions more than 1100% against the Mafia from 1961 to 1963 in the short time since the previous administration. (the same Mafia that the KENNEDY's father, JOSEPH SR., earlier had closely collaborated with for decades profiting Million$ from importing illegal booze's, collaborated with and profiting million$ in penetrating the film industries in Hollywood, and reportedly KENNEDY SR.'s collaborations with the Mafia that helped swing the Illinois unionized voters, and the entire state, winning the presidency for JFK during the 1960 presidential election) ....Additionally, several extremely upset-at and JFK-hating, rogue-acting, longtime C.I.A. officers viewed and repeatedly stated publicly (as did C.I.A. Officer and Army General CHARLES PIERRE CABELL ----whom President KENNEDY had fired, but CHARLES CABELL refused to leave his Pentagon duties, and, who was, in fact, on 11-22-63 also the brother of Dallas Mayor EARLE CABELL) ---- that President KENNEDY was a “traitor” to America and the anti-CASTRO, C.I.A.-trained Cuban freedom fighters allies during the Bay of Pigs failed Communist Cuba liberation attempt. President KENNEDY did not trust the C.I.A., as evidenced by his stating to his closest friends after the Bay of Pigs that the C.I.A. had deliberately misled and flat-out lied to him, and he vowed that he would smash the C.I.A. into 1000 pieces and scatter the pieces to the winds. In 1962 ROBERT KENNEDY had already ordered the C.I.A. and Mafia to stop working together to stop developing their CASTRO-assassination teams, but, the C.I.A. decided ----internally, on its own---- to completely ignore RFK's orders, and against orders the C.I.A. continued working with the Mafia on its CASTRO-assassination teams until after President KENNEDY's assassination. “It's quite thought-provoking to examine President John F. Kennedy from a contrarian point of view. - Suppose JFK was not a great man? During the Assassinations Records Review Board, in a 1994 letter from Bradley E. Ayers sent to the head of the board, John R. Tunheim, Ayers claimed that nine people based at the C.I.A.’s Miami JM/WAVE station, "have intimate operational knowledge of the circumstances surrounding the assassination" of John F. Kennedy. Ayers named nine men working within the operations control of the C.I.A. 's Miami JM/WAVE station: David Sanchez Morales, Theodore Shackley, Grayston Lynch, Felix Rodriguez, Thomas Clines, Gordon Campbell, Rip Robertson, Edward Roderick and Tony Sforza as the men who had this information. The C.I.A.’s “JM/WAVE” operations station was the largest and highest funded C.I.A. station in the world at the time. It concentrated mostly on implementing anti-Communist (especially focused on anti-Castro) secret operations. ---- joint operation between the C.I.A. and the F.B.I. "... also called the CIA mind control program, is the code name given to a program of experiments on human subjects that were designed and undertaken by the United States Central Intelligence Agency—and which were, at times, illegal." "Later that year Wisner established Mockingbird, a program to influence the domestic American media. Wisner recruited Philip Graham (Washington Post) to run the project within the industry. Graham himself recruited others who had worked for military intelligence during the war. 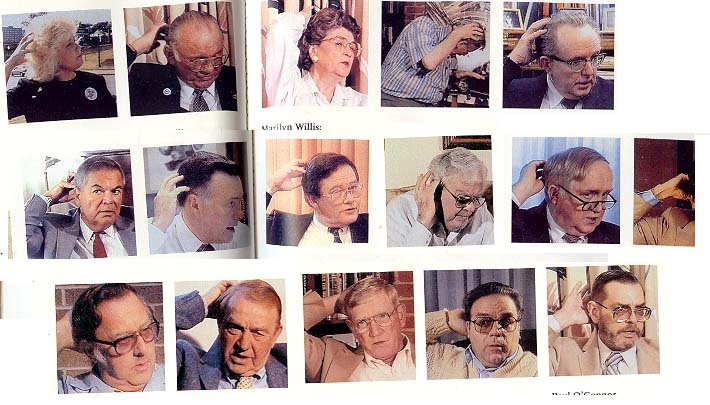 This included James Truitt, Russell Wiggins, Phil Geyelin, John Hayes and Alan Barth. Others like Stewart Alsop, Joseph Alsop and James Reston, were recruited from within the Georgetown Set. According to Deborah Davis, the author of Katharine the Great (1979) : "By the early 1950s, Wisner 'owned' respected members of the New York Times, Newsweek, CBS and other communications vehicles." "In September 1960, Allen W. Dulles, the director of the CIA, initiated talks with two leading figures of the Mafia, Johnny Roselli and Sam Giancana. Later, other crime bosses such as Carlos Marcello, Santos Trafficante and Meyer Lansky became involved in this plot against Castro." ---- the infamous 1954 coup in Guatemala initiated and supported by the C.I.A. Among the documents found in the training files of Operation PBSUCCESS and declassified by the C.I.A. is a "Study of Assassination"; an assassination how-to manual in political killing that gives detailed descriptions of the strongly suggested and needed procedures, instruments, equipment, and implementation of an assassination of someone. Here is a transcript of that manual. 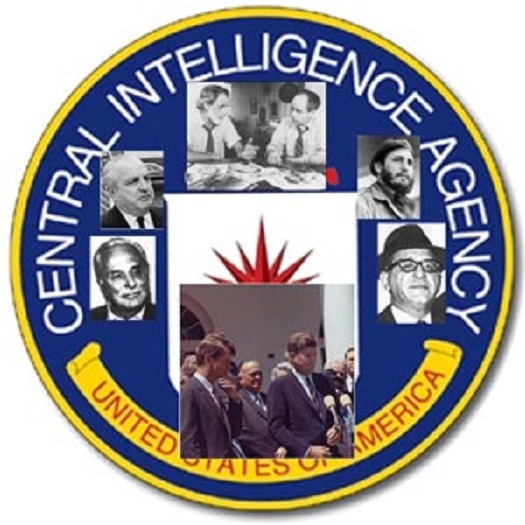 ---- prior to the 1947 formation of the C.I.A. Former C.I.A. Officer PHILLIP AGEE, excerpts from his book, "C.I.A. Diary: Inside the Company"
JOHN CRAIG research study, "The Mystery of David Ferrie"
during those years like a rogue elephant rampaging out of control. " which they provided information to the Warren Commission. charged with investigating the assassination." officials who directed the cover-up." What the eyes see, and the ears hear, the mind believes." . . . . by the U.S. government in 1973, "coincidentally," at approximately the same times when government officials renewed interests in follow-up investigations into the assassination were dramatically increasing. Interest by Our People has always remained high. In July of 1973, six months after the death of Lyndon Baines Johnson, "The Atlantic" magazine published an article by a journalist and former Johnson speech writer named Leo Janos. "The Last Days of the President," about LBJ in retirement, was sorrowful in tone and fact, except for one paragraph — in which Johnson volunteered his opinion that President John F. Kennedy's assassination had been the result of a conspiracy organized from Cuba. "I never believed that Oswald acted alone, although I can accept that he pulled the trigger,"
to kill Communist Dictator CASTRO), and LBJ was not sure what . . . .
that . . . . ahhhhh ........ could have been involved." "No one can be certain what the future will bring. this is the place to begin. of a thousand miles must begin with a single step'. My fellow Americans, let us take that first step." Background: Ramsey Clark was U.S. Attorney General between 1967 and 1969 under President Lyndon Johnson, an administration that escalated the war in Vietnam, and that pursued F.B.I. investigations of civil rights activists under the Counter Intelligence Program. Now Ramsey Clark is a fierce critic of U.S. foreign policy and domestic human rights practices, and claims that "the greatest human rights violator in the world is my own government." RC: Ah, we had three pathologists that performed the autopsy on evening of November 22nd come in. We had to bring Finck from Viet Nam. There were only 8 of us, including the three pathologists. They went into archives last night. (1) The staff worked till midnight on the autopsy photos and X-rays. They all three seemed to have a chip on their shoulder. I think they'll go along with our [ - ] that they shouldn't talk. RC: They shouldn't talk to anybody. But they are quite defensive of the criticism of them. They feel their professional reputations are at stake and what not. They say, "We haven't got it tied down as an affidavit yet." I hope they have it by Monday. They'll be working on it today or tomorrow here. They may have it done before then. But, they're so technical, so reticent about finding things that they're hard to work with. They say the autopsy photos conclusively confirm their judgment as to the bullet entered the back of the skull --- and it's not perfectly conclusive as to the one in the lower neck. It's very clear to them that they, there's nothing in the autopsy photos that contradicts anything that they said. Now, we've run into one problem last night that we didn't know of. That is, there may be a photo missing. Dr. Humes, Commander and Naval doctor, testified before the Warren Commission(2) that this one photo made of the highest portion of the right lung. The other two doctors don't recall if such a photo was made. They do recall discussing the desired ability of making such a photo. But there is no such photo in these exhibits. It could be contended that that photo could show the course and direction the bullet that entered the lower part of the neck and exited the front part. We're seeing to run that down. The only other witness that would have any judgment at all would be the corpsman, naval corpsman, that took the photos. We have to talk to him. We're not too sure, until we see what the doctors conclude. That's desirable. We are left with one specific problem. Dr. Humes did testify before the Warren Commission there was such a photo [that] we don't have. LBJ: Wasn't delivered to you. RC: Not delivered. That's very clear. Another part that is a concern that's not tied down either --- that's Dr. Burkley's part. You remember I talked to him on November 8th down at the Ranch after I talked with you about it. Hadn't discussed it since. He gets very emotional on the subject. His eyes start watering. He says that he knew where the autopsy photos were all the time. They were in his possession. Now, this is not --- He's not entirely clear on the matter. The possession will become an issue in a significant way and it had not been until, in our judgment, till last night because of the missing photo now. I say "missing photo." There's a contradiction of whether there was this photo. LBJ: Ah uh. Well, they weren't actually in his possession, were they? RC: He said that they were actually in his possession. 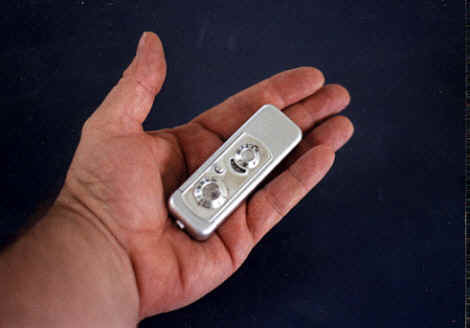 And that he received them and had them in a safe in E.O.B. (Executive Office Building) In a vault sort of thing in E.O.B. He later released them to Mrs. Lincoln. Probably hidden them. (garbled) Which I think I know, prepared by Bobby Kennedy. I think Dr. Burkley knew what he had in every instance. He knew every minute. He, ah, I tell you the real problem is when you start talking with him about it what he said is it's just outrageous that anybody would want those photos. The personal property of the dead President's family. "Horrible" when he talked about it, thinks about it. "People shouldn't do that." When you try to explain that's a real problem, why, he --- "It just won't do at all." His inventory(3) coincides with what we had. Inventory that we got ---material was delivered to us by Kennedy representative Burke Marshall(4). So that would indicate that between his letter and what we received November 1, everything is there. Or if there were another photo, on the 4th (garbled) then Mrs. Lincoln. as were the black and white. Of course they could be magnified. Representative FORD: Have those been examined by personnel at Bethesda? over. Here I must ask the counsel again for advice to the Secret Service. Mr. SPECTER: Yes; it was the Secret Service. Commander HUMES: I do not know, sir. consistent with the autopsy report. made of this area in the interior of the President's chest. body parts, plus autopsy documents. has been re-numbered to read #1 through #7.
soon as the footlocker is opened, and before an inventory is taken. list), they would not have known anything was amiss. and memos on autopsy photography. Nov. 25, 1966. Titled: “Warren Commission -- Re-evaluation of evidence”. ADDITIONAL KEY CONSIDERATIONS FOR YOU…. President KENNEDY Medical Autopsy notes and the autopsy report generated from the notes.... The originals ---- immediately classified TOP SECRET documents ---- were admitted by President KENNEDY’s military autopsy doctor, JAMES JOSEPH HUMES (only publicly admitted to, many years later) to him taking the autopsy notes to his home, and, sometime later that weekend, in HUMES very own words, inside of his home, he personally . . . .
" destroyed by burning "
. . . . then . . . .
of the many close medical professionals and 4 of the Dealey Plaza close witnesses who were extremely close witnesses who observed the large hole the size of an "orange or grapefruit" located at the rear of President KENNEDY's head . . . . Each witness is indicating precisely where each observed the location of that head hole. . . . . or . . . .
orders by LBJ, and was not declassified until 1994.